Jessica and Chuck’s story began in Law school where the two met. Soon after, through their shared love of outdoor sports and traveling, they recognized that they’d found the one whom their soul loved best; they had finally found each other. Jessica’s fun-loving demeanour complements Chuck’s funny, inquisitive, personality, and neither one of them can see a future without the other. We were honoured to be apart of their special day this past summer and to capture the growing love between Jessica and Chuck at their beautiful outdoor wedding. The day started for Jessica at The Iron Kettle in Comber, Ontario; for Chuck, his parents’ house near charming Seacliff Park in Kingsville. 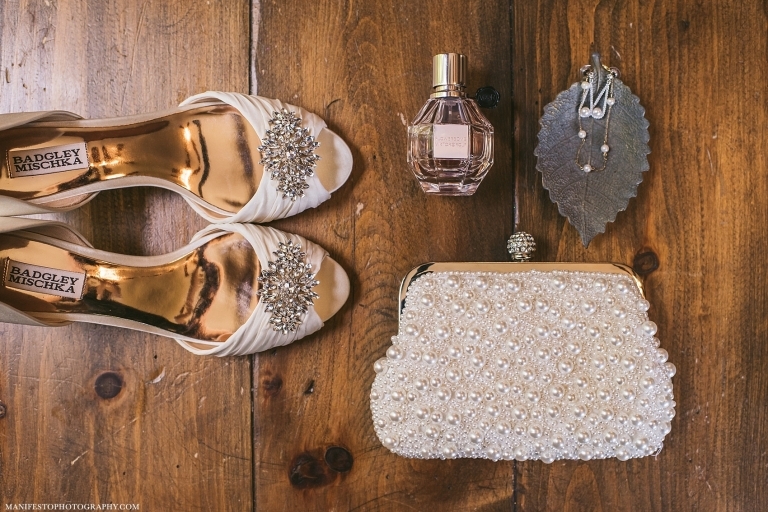 Jessica wore a beautiful gown with a sweetheart neckline adorned with French lace and ivory-blush tulle; she pulled everything together with stunning Badgley Mischka heels. Chuck was a perfect accompaniment, wearing an elegant black suit, white tie and shoes by Ted Baker. Before the ceremony the two were able to steal some precious moments together during their first look in the cool shade of a tree canopy; the way each one looked at the other when they first laid eyes on each other, in awe and admiration, was beautiful. From there we headed to Mastronardi Estate Winery in Kingsville for Jessica and Chuck’s outdoor wedding ceremony and reception. Under the bright blue sky of a sunny July afternoon, the two said “I do” and celebrated their first steps as husband and wife while Elevation String Quartet serenaded the ceremony. The celebrations continued into the venue, a beautifully romantic hall decorated from top to bottom in accents of warm blush, ivory, and gold. Their reception was filled with delicious food, heartfelt speeches, vibrant dancing, and most importantly- love. 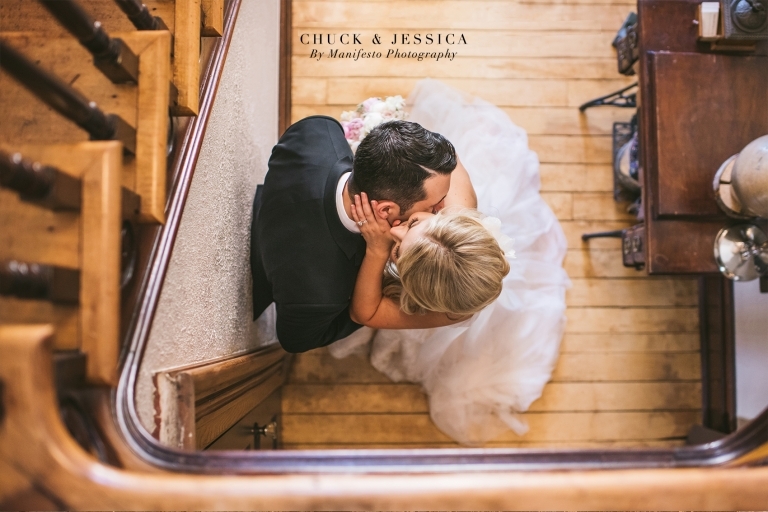 Chuck and Jessica, we loved getting to know you both and loved being with you on your special day. We look forward to seeing all the incredible things in store for you both and wish you nothing but happiness in these new moments of your lives together.